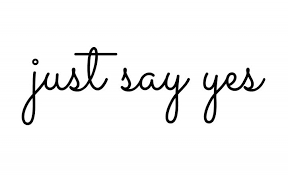 Why You Should Just Say YES! In my new endeavor of interviewing entrepreneurs on KABF public radio, I find them all to have one common personality trait, optimism. They’re all open to new opportunities and have this innate feeling that all is well. Gloria Steinem calls herself a “hope-aholic”. 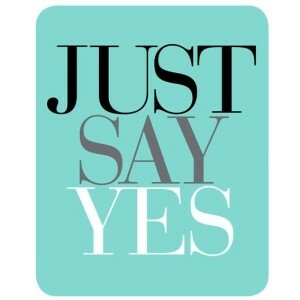 Saying ‘yes’ plays into this attitude of optimism and openness. There’s even a recently published book “Year of Yes’ by Shonda Rhimes. One year she made a conscious decision to say ‘yes’ to everything and the change in her life was remarkable. Saying yes, could be literal, which is what the afore mentioned book talks about, but there is also saying ‘yes’ to feelings. When Ann McCoy, of our featured article “Brave Move” (on page 6) went to Washington she said ‘yes’ to both. Here is how I said ‘yes’ to my feelings. No one asked me to start a radio show. When your self-employed, no one really asks you to do anything except maybe sign their pay check. It’s that freedom and independence that gives room for creativity. As I say over and over again on my show, part of being successful is “listening to life” and that is exactly what I did. One Sunday afternoon I dropped into Moxie Mercantile, a small local gift shop on Main Street in Downtown Little Rock, to buy a birthday card. 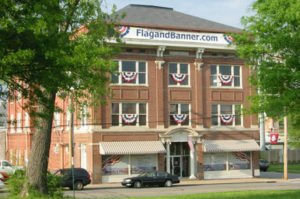 While checking out, the shop’s owner discovered that I am the owner of Arkansas Flag and Banner and began to ask me advice about Internet marketing. I remembered how once I had been mentored and how much it had helped me. Maybe it was my time to reach out to budding entrepreneurs. Following up on this realization, I called KABF’s radio program director, John Cain, and told him my idea of starting a one-hour weekly radio show mentoring small business owners or those who dream of owning a small business. He loved it! You know you are on the right path, when things begin to align. Carl Jung used the word synchronicity, I say “listen to life” and old timers use the word “Providence”. I met with John Cain and he explained KABF’s culture. Their motto, the “Voice of the People” is true. All of their on-air personalities are volunteers. He told me I would be responsible for finding my own technician to run the board during my show. Ironically, this year I added a new salesman at AFB. This salesman has a hobby. Each Wednesday night from 9-11 p.m. he and a friend play alternative music on KABF. Wow! How weird is that? The radio technician John Cain said I needed already worked for me! I don’t know where my new radio show “Up In Your Business with Kerry McCoy” will lead, but at this season of my life, it’s a fun, new opportunity and I have an innate feeling that all is good. I want to say, right now, to you budding entrepreneurs and small business owners, listen to life, look for those small synchronicities. 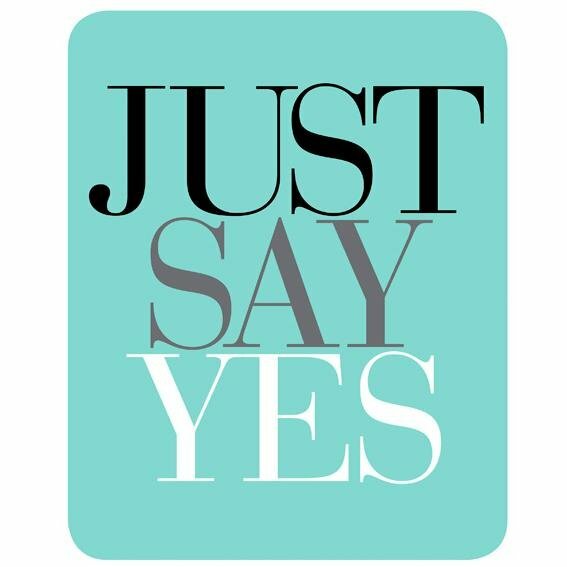 Saying YES is going to be ONE of the secrets to your success. That one little word could lead you to your destiny. Veteran’s Week at AFB Begins!